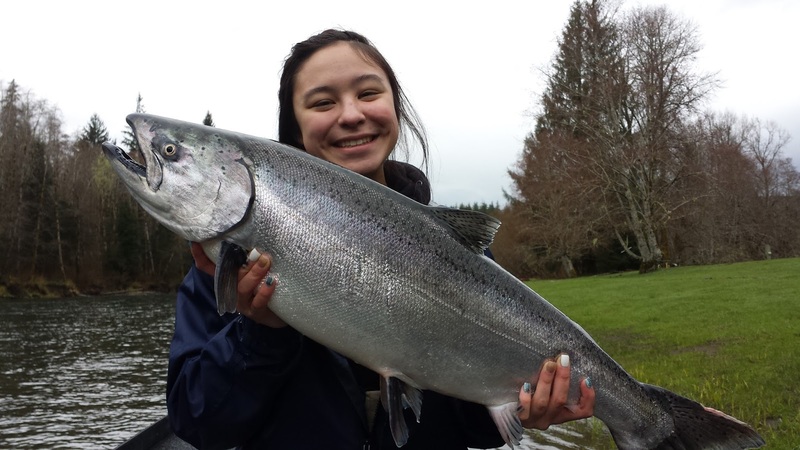 Guided Fishing on the Rogue and Umpqua Rivers' for Salmon and Steelhead in Southwest Oregon: The First Spring Chinook Salmon of 2016 | It's Time to Reserve Your Dates in May and June on the Upper Rogue River | Prime Dates Open! The First Spring Chinook Salmon of 2016 | It's Time to Reserve Your Dates in May and June on the Upper Rogue River | Prime Dates Open! Spring Chinook Salmon aka "Springers" are the most prized game fish in the Pacific Northwest. They fight extremely hard and make excellent table fair. MAY & JUNE are prime months to target these fish on the Upper Rogue River with us. The Upper Rogue is one of the best Spring Salmon Fisheries in Oregon.